This is not your typical Soundcraft Signature 12 Signature Mixer-Amp dust cover. Our premium quality Soundcraft Mixer Dust Covers protect from animal hair, dust, spills and other kinds of nuisances that can shorten the lifespan of your mixer-amp. 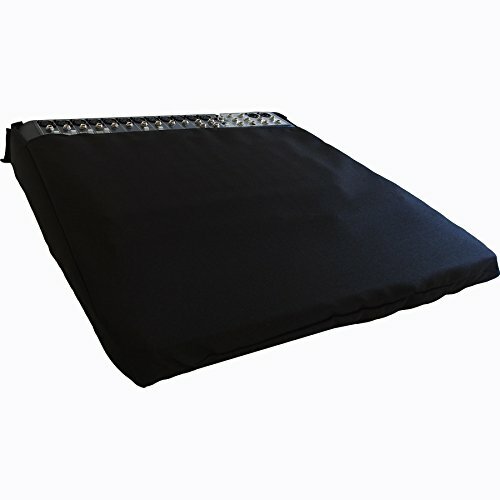 All of our dust covers are custom made for each model of mixer-amp on the market. We don't believe in 'One-Size Fits All' sound mixer dust covers. Our customers have told us, they don't want a dust cover made with the cheap, translucent vinyl material that can discolor, dry out and crack. Just like you, they want something that looks professional, and does the job! In other-wards they want a higher class sound mixer-amp dust cover that meets their needs. * Velcro Flap on Top - Allows you to keep your input/outputs attached. * Easy to slip over your amp and detach for use. PROTECT YOUR Soundcraft Signature 12 Mixer-Amp From Dust, Animal Hair, Scratches, Spills & More! CUSTOM MADE - We Don't Believe in 'One Size Fits All' Soundcraft Mixer - Amp Dust Covers! Sized For Your Exact Model.